Unfortunately, I don't have time for airsmithing like I used to so it's time to clear out some extras that I don't need anymore. I'll be at Blind Fury X and will can do a face to face transaction for cash. Prices are pretty firm but if you make me an offer, the worst I can do is say no. I will not ship until I receive payment. Items will not be held- first person to send payment gets the item. 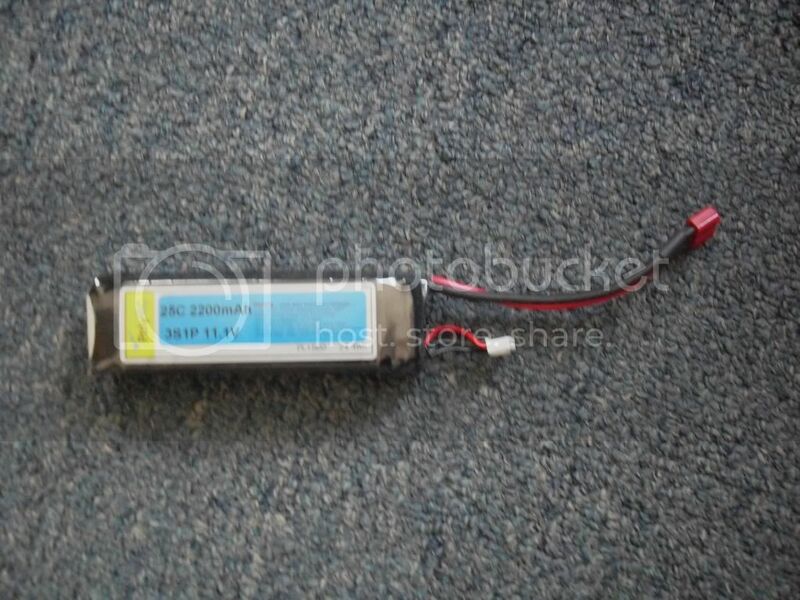 25C 2200mah 11.1v lipo battery. Basically brand new and has been properly cared for with a smart charger. 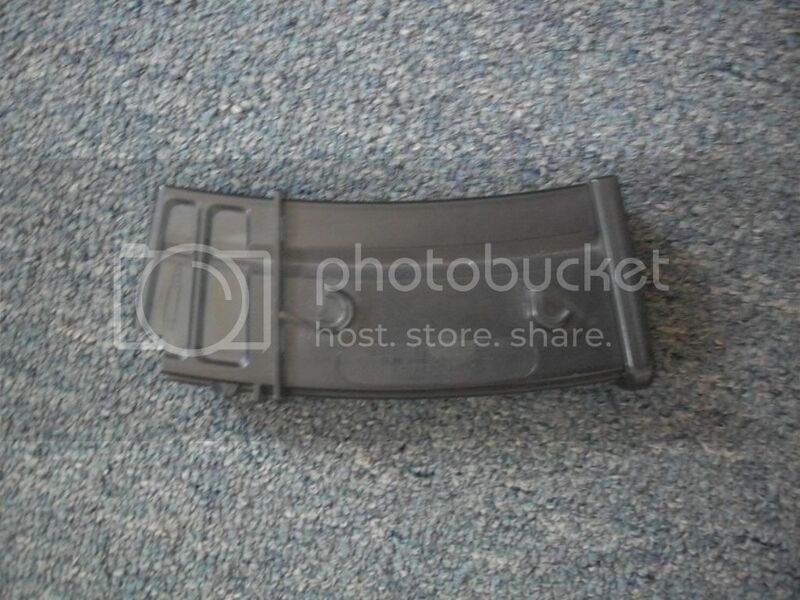 Only selling it because it won't fit in my G36c foregrip. $30. Classic Army G36 hicap. $10. 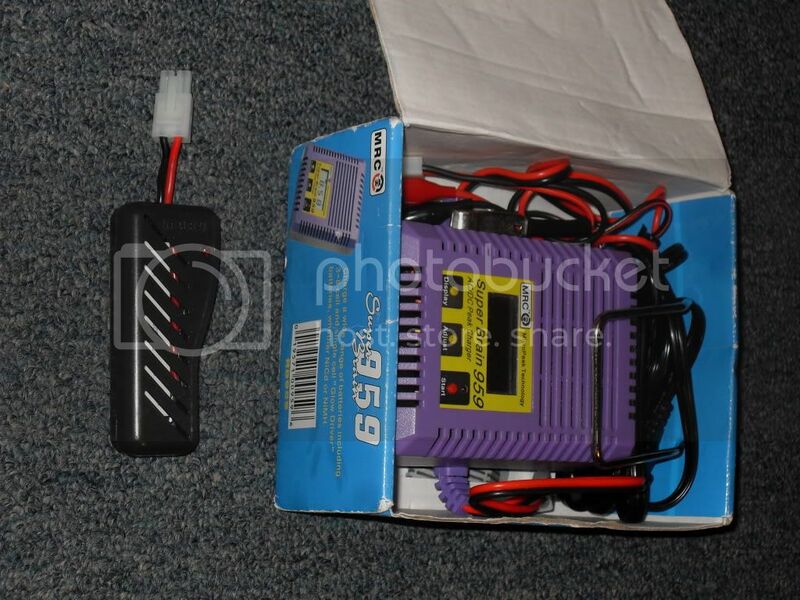 MRC Super Brain 959 smart charger and Tokyo Marui discharger: $30. Nineball soft hopup bucking NIB: SOLD. FireFly AEG Spicy (hard) hopup bucking. Opened but unused: SOLD. 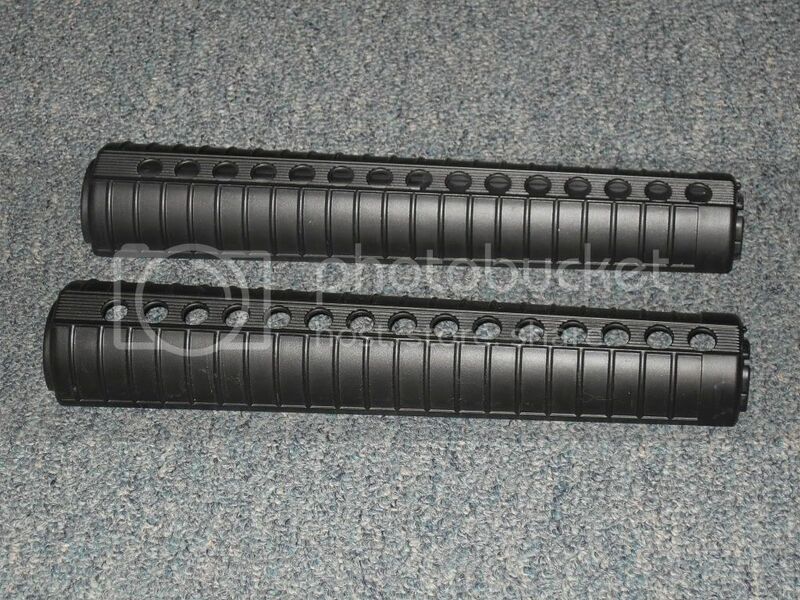 Echo 1 M16a3 handguard: $5. 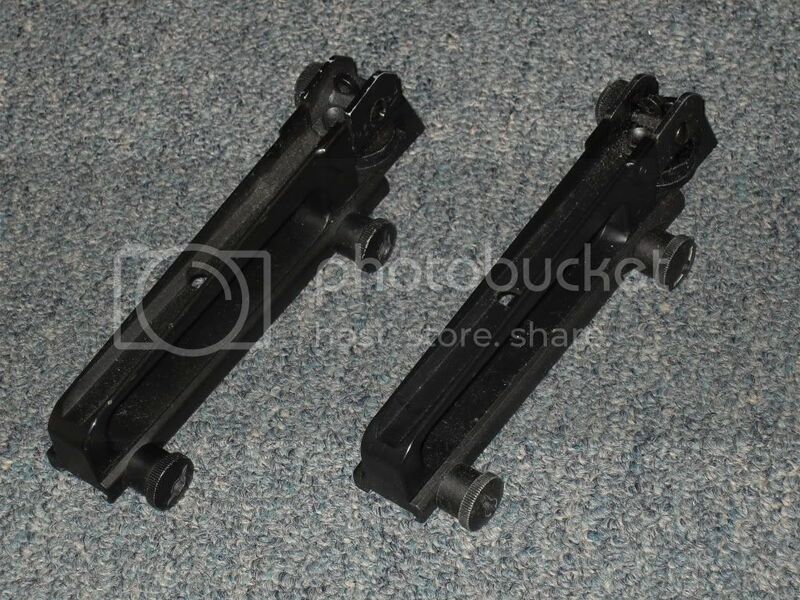 Echo 1 M16a3 carry handles: $5 each. 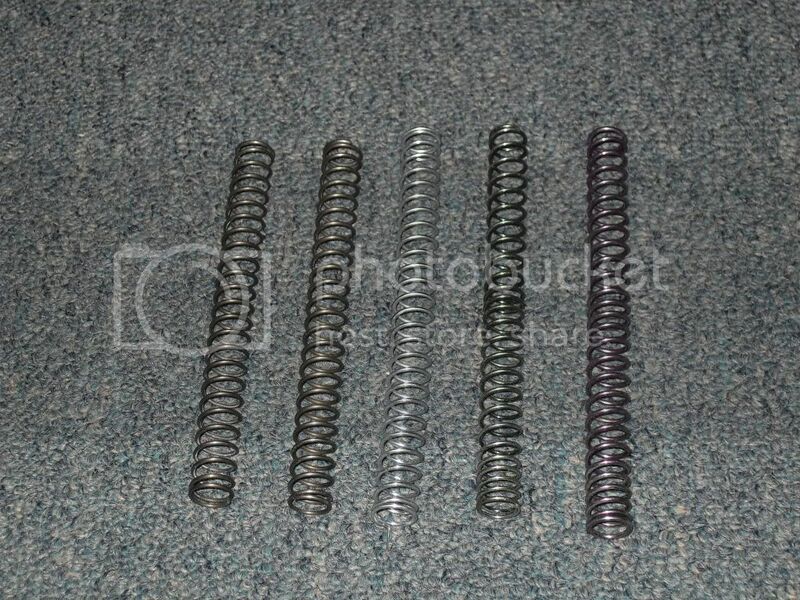 Stock springs (I think they are CA, Echo1, and JG): $3 each. Prometheus M170 (practically new): SOLD. JG high torque blue: SOLD. EG 1000 (the top of the motor casing is scratched from where I tried to get the pinion off without a pinion removal tool. Doesn't affect performance): $20. CA high torque motor w/o pinion (basically new): $15. Echo 1 version 2 spring guide: $1. Classic Army version 3 spring guide: $3. 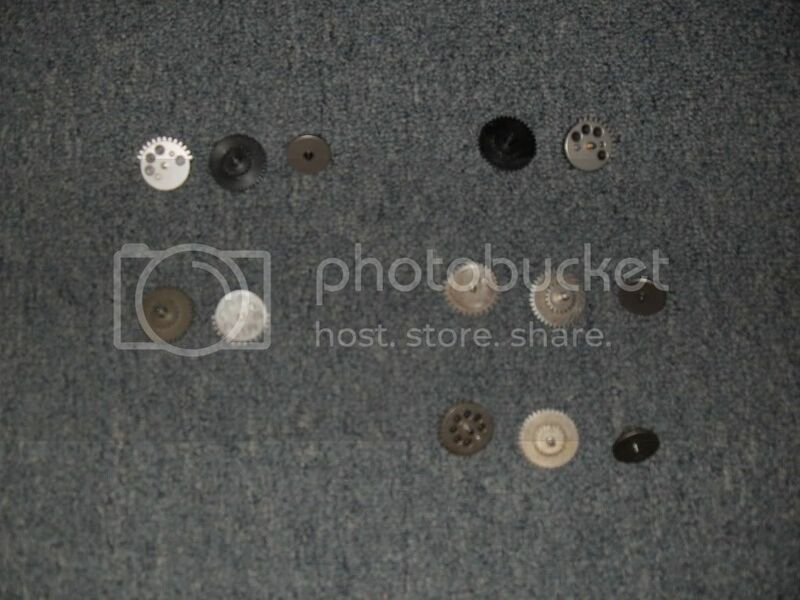 [Top left] Prometheus double torque gears (short stroked 2 teeth): $50. [Top right] Prometheus standard ratio spur and sector gear (sector gear also SS by two teeth; the bevel was sacrificed to a warped gearbox): $10 each. 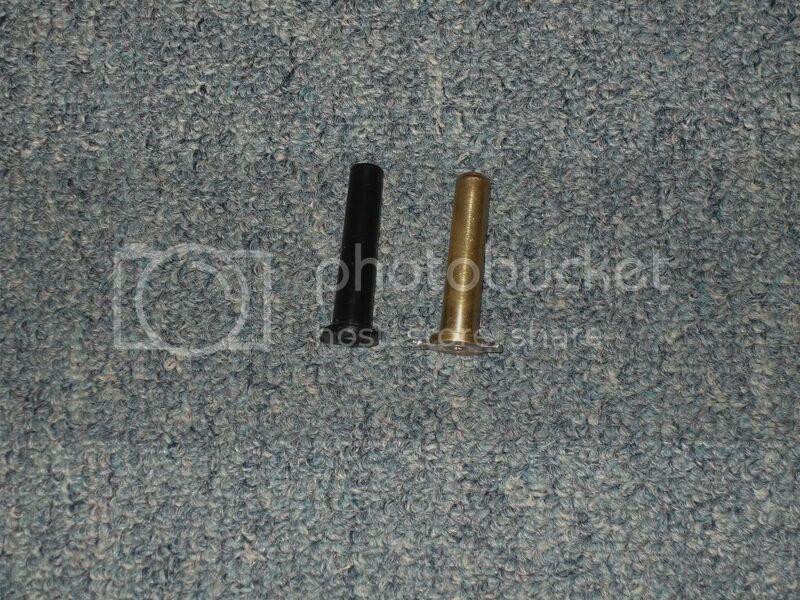 [Bottom left] CA stock spur and sector gear (its bevel was also sacrificed to the warped gearbox): $5 each. 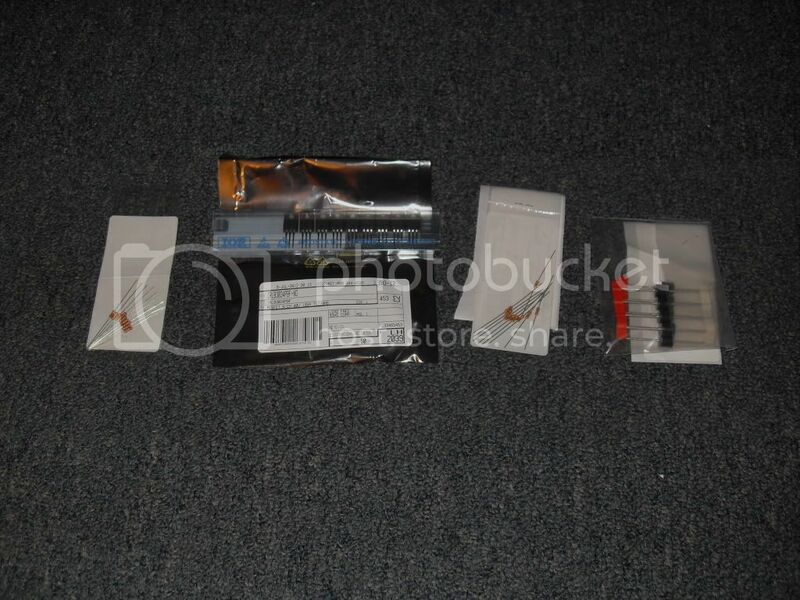 [Middle right] Echo 1 (I think) stock gear set: $10. 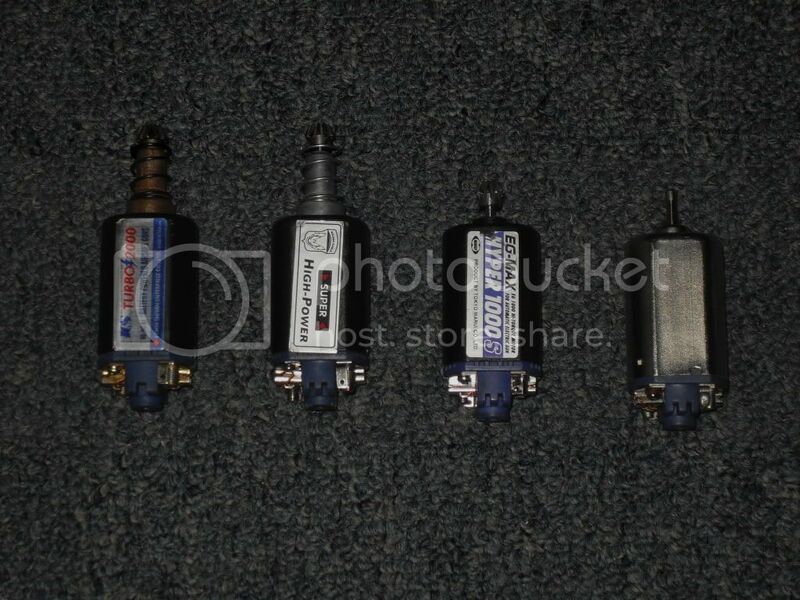 [Bottom right] JG (I think) stock gear set: $15. Bump. I'll be at Blind Fury X and will can do a face to face transaction for cash.